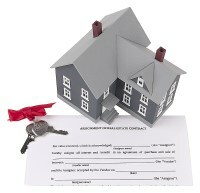 The best time to begin thinking about financing your new Travis Country home is well before you begin looking for one. For most home buyers, there's a lot to think about! Finding the best financing for your home can combine many different factors. For example, the typical considerations are: the price of your new home, current interest rates, the down payment you want to make, the length of mortgage, different sources of financing, and your credit history. Not to worry. It's actually simpler than it sounds and we stand ready to guide you through the entire process. Also feel free to use our handy mortgage calculator. Please fill out the form below and we'll promptly place you in contact with our preferred lenders that we refer all of our friends and family to. Any information you provide below will be kept confidential and will not be used for any other purpose.